If you've ever considered using sod in Arizona to create a beautiful lawn, you were likely faced with several questions. How difficult will it be? How much will it cost? When is the best time to install sod? Of all the ways to cultivate a green lawn, laying sod is efficient; and, with the right preparation many homeowners agree that it's well worth the cost. Once you've completed the laborious task of soil preparation, laying sod will seem easy in comparison—especially in lawns that are symmetrical or rectangular in shape. However, if you're working with an irregular shape, establish a starting point by aligning the sod in the center of your lawn and working from the inside out, toward the perimeter. Use a sharp knife to cut around trees, pavers, and flower beds. Once your sod is delivered, install it immediately for best results and water it as soon as it is laid. Keep off the grass as much as possible for the first few weeks while the root system forms. 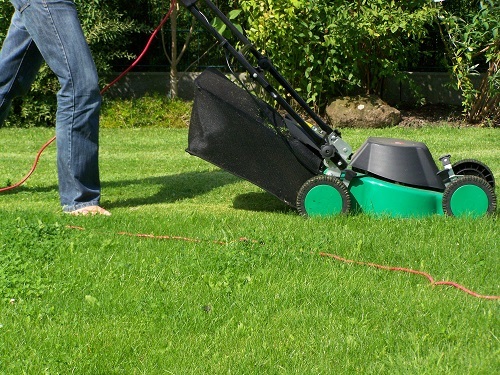 Although you can enjoy the beauty of your new lawn instantly and tread upon it within a matter of weeks, sod can take up to two years to fully mature. Adhering to a consistent maintenance schedule will ensure its longevity and vibrancy. While sod can effectively grow year round, the best time to install sod in Arizona is in the fall. The reason is because temperatures start to fall and homeowners can take advantage of natural rainfall as the monsoon season draws to a close. Secondly, this is the time in which grass still grows before falling dormant in the winter. Spring is the second best time to lay sod—especially warm-season grasses like Bermudagrass or St. Augustine. Seeding your lawn, while inexpensive, doesn't provide the immediate results that sod promises nor does it withstand the harshness of desert seasons as easily. The biggest benefit to turf grass is that virtually any time is the best time to install sod as long as you follow the necessary steps to preparing your lawn (which do not vary from seed to sod). Once the work is done, the lasting benefits of sod often outweigh the disadvantages. Like most worthy investments, it will become apparent why cheaper isn't always better.